Welcome to the Leaky Shed blog! We are so happy you are here. 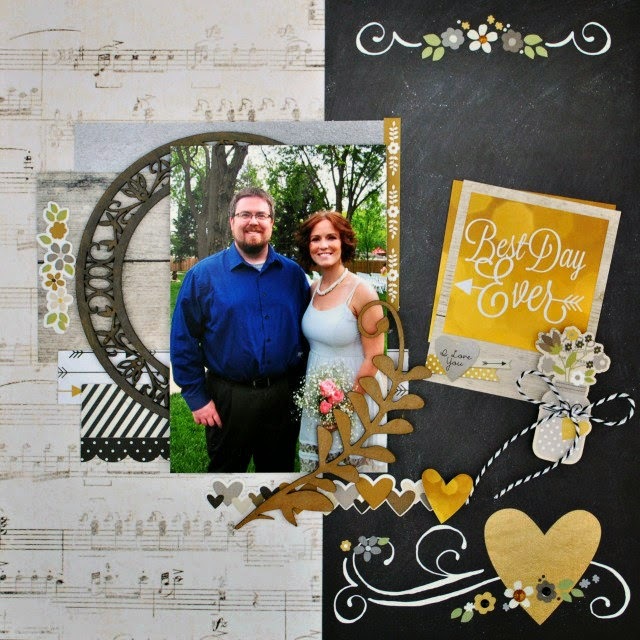 It's Cathy hosting the blog today and I have a layout to share with you using two of Leaky Shed's gorgeous chipboard designs. I love that Leaky Shed's designs are easy to layer...something us scrapbookers love. I chalked the Large Ring Frame with grey and black chalk and then add just a bit of water to my applicator to blend. 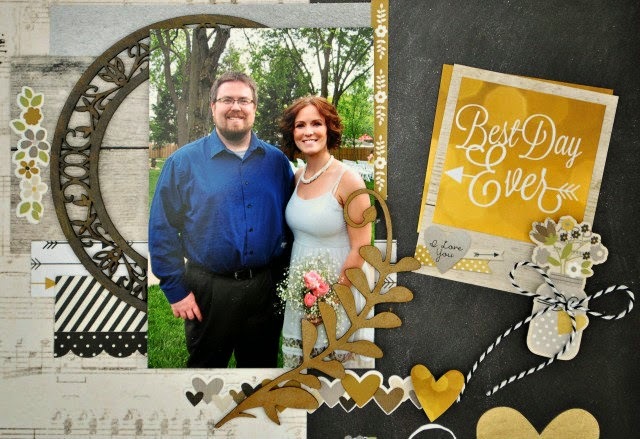 The frame was the perfect accent and additional layer to put behind my photo. Love the intricate designs of this frame. It added interest and detail to the layout. Next, I chalked the new Fern flourish with gold chalk and blended just a bit with water too! All I had to do was wait for it to dry and layer over my photo. Thanks again for joining us at Leaky Shed, and I hope you will try layering some of Leaky Shed Designs on your layouts and cards!